The Netherlands was at peace in Europe from 1830 until 1940, and faced little external threat for much of this time. Until the first decade of the 20th Century a coast-defence navy was considered adequate for homeland protection but high standards of efficiency were demanded, as befitted the proud naval traditions exemplified by Admirals de Ruyter and Tromp in earlier times. During this period however the defence – and expansion – of the nation’s vast colonies in the East Indies, essentially what is now Indonesia, posed a more difficult challenge. 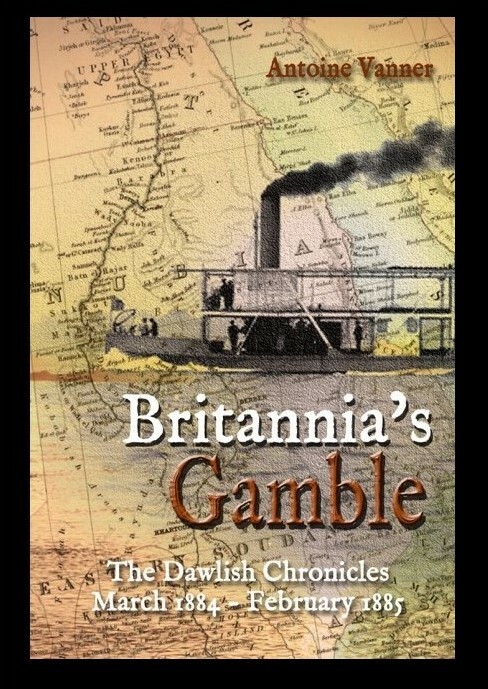 In the late 19th Century the major conflicts in the area were typical of the colonial wars of the time, the bloody and protracted (1873 – 1914) Atjeh Wars in Sumatra being the most important. Netherlands ships deployed to the area accordingly needed long-range cruising capability, ability to provide artillery support during amphibious operations, and capacity for transporting troops and supplies needed in such operations. No great level of sophistication was required of such vessels. During the first decade of the 20th Century the situation changed significantly. 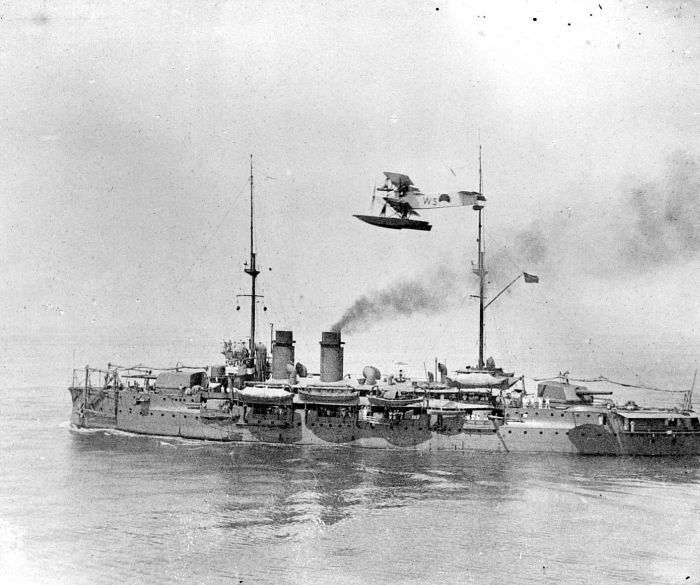 Political tensions were rising in Europe – to the extent to which the Netherlands Government initiated studies for acquisition of a small Dreadnought fleet – and Japan was emerging as a major power in the aftermath of its victory over Russia in 1905. HMS Dreadnought had been launched in 1905, making all other capital ships afloat obsolete and a confident Japan was moving rapidly to build its own fleet of similar ships. The only likely enemy the Netherlands would be likely to encounter in the East Indies was Japan and the cost of meeting the potential challenge was a daunting one. While proposals for building a Dreadnought fleet for the Netherlands were endlessly debated, a stop-gap measure was adopted which would provide one new coast-defence ship, eight destroyers, at least one submarine and several other vessels for service in the East Indies. 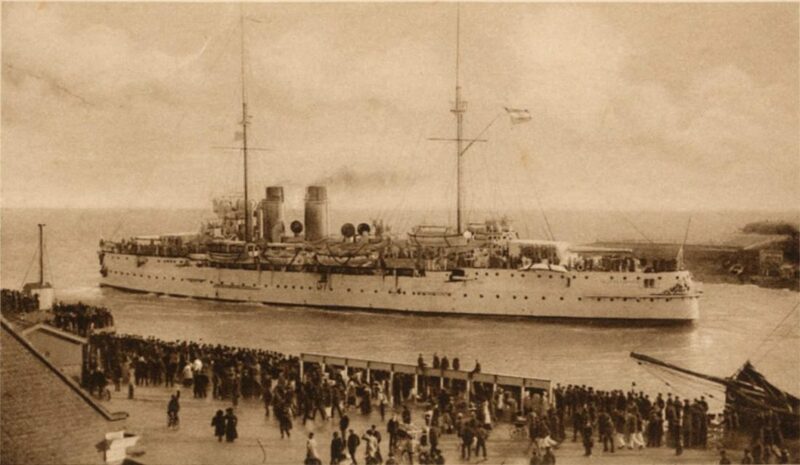 The coast defence ship which was launched in 1909 was De Zeven Provinciën. Constructed at a time when modern Dreadnoughts of vastly greater power were sliding off the slipways in Europe, the United States and Japan, the De Zeven Provinciën, though new, already looked like an antiquated survivor from an earlier epoch. Though the largest vessel (6,530 tons) in the Netherlands Navy, her armament consisted of two 11.1 inch and four 6 inch guns, plus many smaller weapons. To support this she had a crew of 448 in a hull 333 feet long. Given that Japan’s navy represented her most likely adversary it is interesting to compare De Zeven Provinciën her with the Japanese 21,000 ton Kawachi, laid down that same year and armed with twelve 12” and ten 6” guns. Since no decision was ever reached to build a modern battleship fleet for the Netherlands Navy, then in the event of a Japanese attempt to seize the East Indies De Zeven Provinciën, was going to have to face alone not just the Kawachi but the even more powerful vessels that followed her. 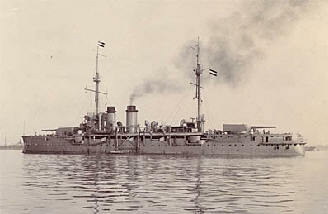 Manned by a mixed European and Indonesian crew, De Zeven Provinciën was to serve most of her career in the Netherlands East Indies from 1911–1918 and from 1921 onwards. It was in these waters that the mutiny for which she became notorious occurred in 1934. The 1930s were difficult for the Netherlands. Caught up in the global Great Depression, the country suffered high unemployment and social unrest at home while in the East Indies, which the Dutch contemporary political establishment was absolutely determined to retain, an independence movement was already active. Unrest and strikes in the 1932-1934 period were supressed with force by the colonial authorities. The underlying causes of the mutiny that broke out on De Zeven Provinciën in 1933 are still debated, with some arguing that an active Communist cell might have been the instigator. Whether or not this was the case it is obvious that there was already widespread discontent about pay cuts and bad working conditions. Morale was already poor at the time and the example of the Invergordon Mutiny in the Royal Navy, just over a year previously, may have provided inspiration. In the latter case British personnel had won amelioration of pay cuts and the mutiny had ended peacefully. The immediate trigger of the mutiny was the arrival of a signal of January 26th 1933, indicating that pay was to be cut by 7%. The news was not welcome and a similar announcement at the naval base in Soerabaja provoked protests by service personnel there, resulting in several being arrested and locked up. On becoming aware of this Indonesian crew-members on De Zeven Provinciën discussed taking the ship to Soerabaja to free their arrested comrades. On February 5th De Zeven Provinciën was moored off the northwest tip of Sumatra. On board were 16 European officers, 34 European NCOs and ratings and some 140 Indonesian crew-members. In the early morning hours Indonesian ratings seized small arms and took control of the ship. Though there appears to have been no violence against officers all signals received ordering the mutineers to surrender were ignored. European ratings seemed to have tried to keep aloof but some, either willingly or unwillingly, cooperated with the mutineers. The vessel now moved down the coast of Sumatra, apparently headed for Soerabaja at the eastern end of Java. The Netherlands colonial government decided however that the vessel must be recaptured before then, and ideally before it passed the Sunda Strait separating Sumatra and Java. A squadron consisting of the modern cruiser Java, two destroyers Evertsen and Piet Hein, the submarines KVII and KIX and several aircraft was despatched for the purpose. On the morning of February 10th the squadron sighted De Zeven Provinciën. An ultimatum was signalled – force would be used if a white flag was not hoisted in the next ten minutes. The reply from the mutineers was “We desire not to be delayed and we’re heading for Soerabaja.” It can only be assumed that the mutineers were convinced that they would not be fired on. In this they were badly mistaken as the government had decided that there would be no capitulation to their demands, the more so in view of the signal of weakness this would send to Indonesian nationalists. Aircraft now attacked, several bombs being dropped and one landing on the forecastle. The results were spectacular – 19 dead (including 3 Europeans), 11 seriously injured (of which four died later) and seven lightly wounded. Among the dead was Parada, the leader of the mutiny. A fire was ignited which was extinguished quickly and the mutineers, shocked into surrender, were taken across to the other ships. The vulnerability of warships to aerial bombing was very clearly demonstrated. Many of the leading mutineers were subsequently sentenced to gaol sentences as long as 18 years. The incident triggered recriminations and controversy in both the Netherlands and in the East Indies, with predictable pro and anti-judgements of government action from right and left-wing political groups. It was credited with shifting popular support towards right-wing parties during an election later in the year. More than 20 years later, in 1957, a TV programme about the mutiny, as well as about other aspects of rule in the East Indies, provoked such a furore that the journalist responsible was banned from further broadcast work for two years. De Zeven Provinciën’s subsequent career was tragic. Renamed HNLMS Soerabaja in 1936, she was sunk in February 1942 by Japanese bombers. Used as a floating battery by the Japanese after being raised, she was sunk again by Allied aircraft in 1943.